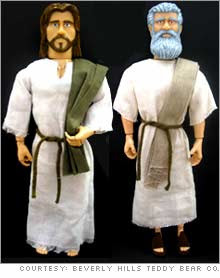 "The foot-tall Jesus doll will be able to recite five Biblical verses at the push of button on its back, while the Moses doll will recite the Ten Commandments. The Mary doll will recite a long Bible verse." My favorite part: Jesus and Moses have totally been lifting. They are ripped! In fact, I think those are workout towels over their shoulder. "Hey Mo, can you spot me over here on the benchpress. I'm going for a PR." Very funny. I'd put my money on J & M here. You didn't think the Son of God would be puny did ya? 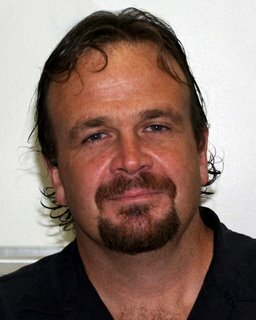 You had me at "Hey Mo"
If Jesus just shaved the sides of his beard, he'd look a lot like someone else we see a picture of every day. (I guess that would have to be be pre-haircut, and I can't say anything about the "ripped" part. I've never seen you in person.) . . . we might also have to get his hair a little wet . . . maybe just after surfacing out of the Sea of Galilee on a storm night. LOL Ben. It's true, he looks rather GQish. A litle water for his hair is all he needs.